Littlest Sweet Shop: Updated Sweet Shop! The Sweets Boutique has just been updated with new products and photos right here from the Littlest Sweet Shop shop in Norfolk. I had actually made the fudge months ago but this is it's first debut on my website. 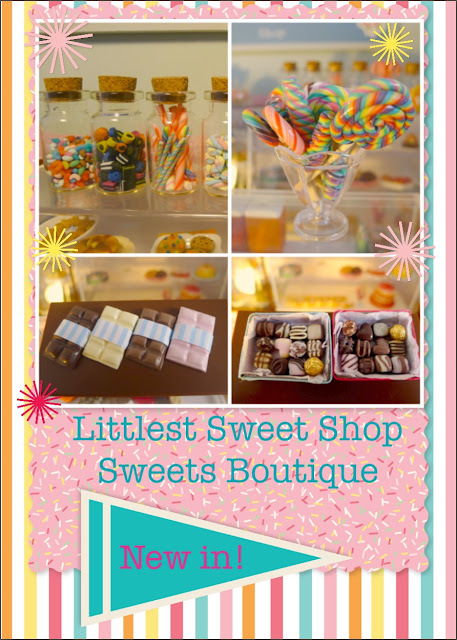 Please visit the 'Sweets Boutique' page for more information on all new confectionery items.